There aren’t a lot of places like Budapest. A museum within a city. Buildings that span hundreds of years but appear brand new. Statues not solely of war heroes but of everyday people like a girl with her dog and an overweight policeman. 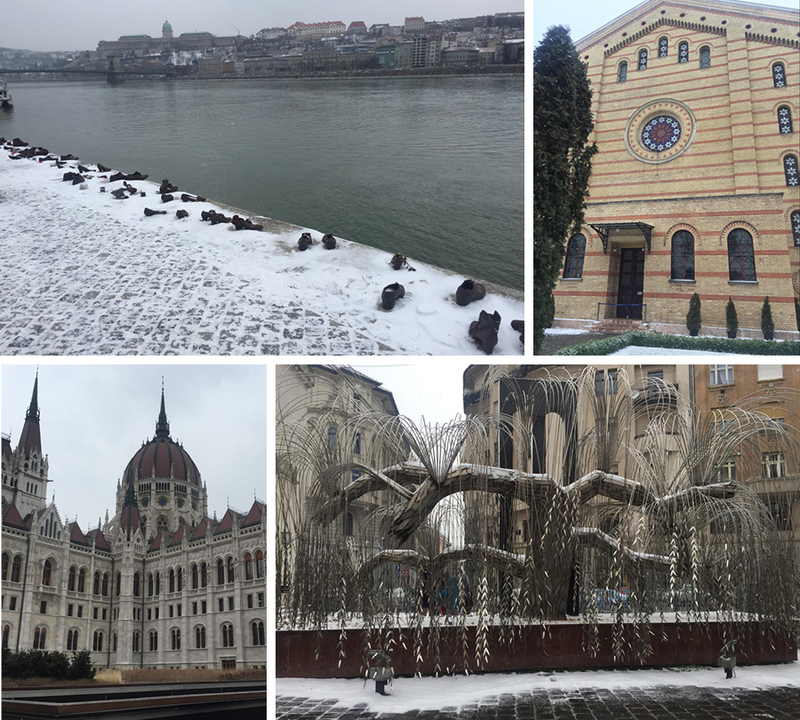 I visited Budapest this past Academic Travel with the intent to learn more about “general culture,” or so I gathered from the name of the trip. 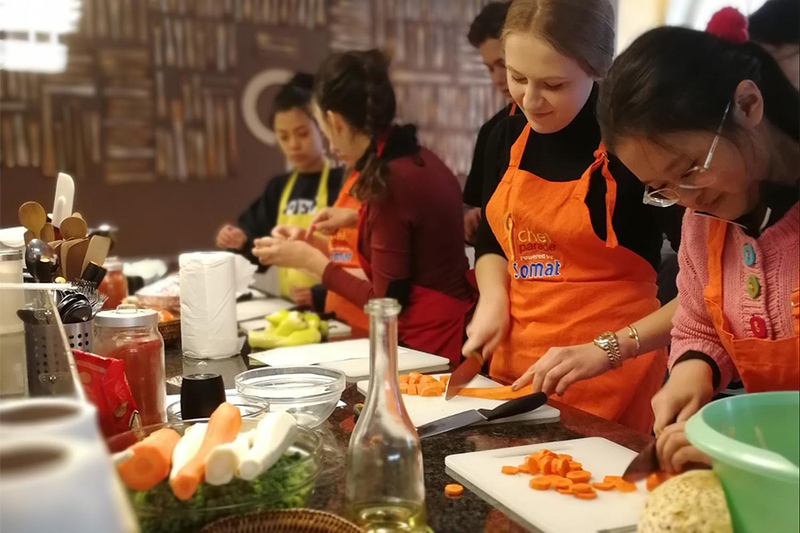 We began the second day with a Hungarian cooking class, where we made soup, chicken, and crepes. Unfortunately, I learned that day that I have no future as a professional chef. After lunch, we took a guided tour of the Dohány Street Synagogue, also known as the largest synagogue in Europe. We learnt the heartbreaking stories of the synagogue and visited the Emanuel Tree Weeping Willow Holocaust Memorial. On our way to the Parliament, our group stopped by the Shoes on the Danube Bank, a memorial where 60 pairs of shoes made of iron honor the Jews who were killed by the Arrow Cross militiamen during World War II. We took a brief tour of the Parliament, where we were able to learn about Hungarian legislation and the former Austro-Hungarian Monarchy. Later on that night, we enjoyed a private concert in which I, for the first time, witnessed a saw being used as an instrument. This treat was followed by a traditional Hungarian dinner. This was perhaps the most interesting day for me, and it began with a tour of the House of Terror Museum. Despite many of the students believing it to be a haunted house, the House of Terror held far more horrifying exhibits. Video and photo documentation of the atrocities committed against the Jews during World War II covered the walls of the first floor. It also exhibited the propaganda and crime that was prominent during Soviet-ruled Hungary. To lighten our spirits after this emotional morning, we went to the underground caves 15 minutes outside of Budapest. 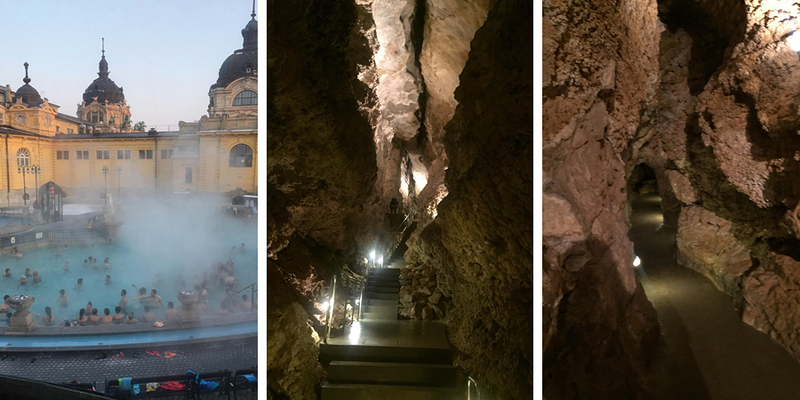 Victor, our guide, played classical music for us and explained the therapeutic qualities of the caves. (In other news, I now plan on living in an underground cave when I grow up.) 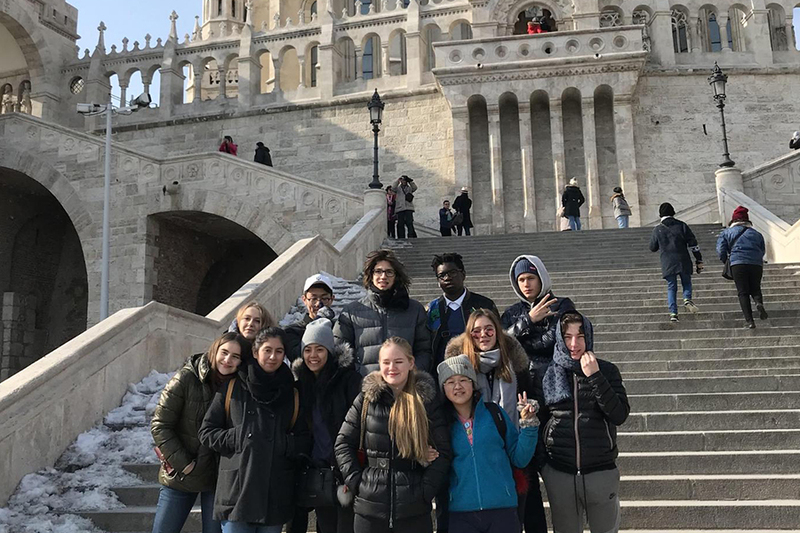 While one group of students sat in the café enjoying the warmth, the others dove into the famous thermal baths in the center of Budapest. The final day of our trip began with the Hungarian National Museum, where we were free to explore the art and tradition of Hungary. 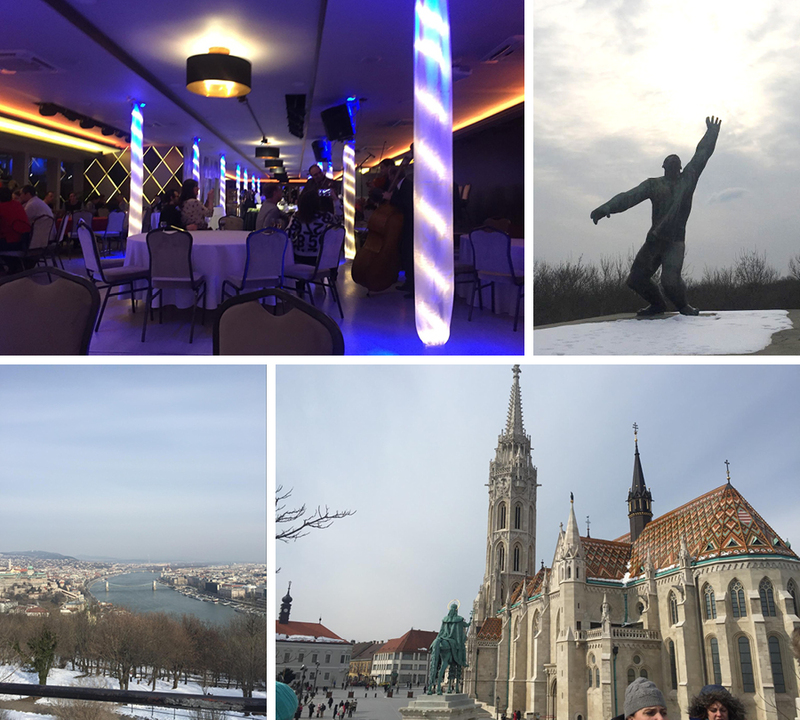 Later we once again delved beneath the city to visit the Hospital in the Rock, a museum of the hospital used during World War II—specifically the Siege of Budapest—and memorial for the victims of the nuclear bombings of Hiroshima and Nagasaki. We were were intrigued to learn that nurses, doctors, and patients would live underground, disconnected from the outside world, for months at a time. 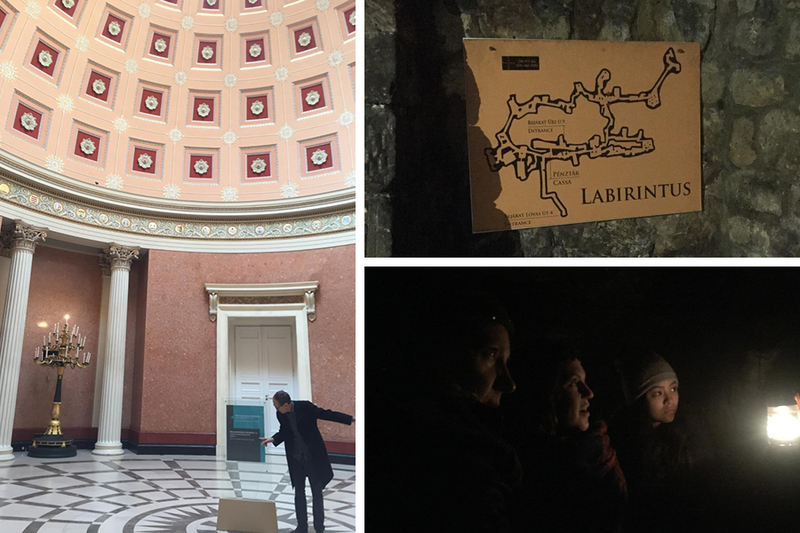 Before dinner, we split up into pairs to take a lantern expedition at the Labyrinth of Buda Castle. Our last full day in Budapest ended with a meal at the Hard Rock Café, where one student took on the challenge of solely finishing a giant brownie sundae after her meal. After doubtful criticisms from her teachers and peers, she successfully completed her task and walked back to the hotel with a big smile and a mild sugar rush.